A video produced by the Rotary Club of Lane Cove, NSW, Australia featuring renowned Australian newsreader Roger Climpson, himself a Rotarian. 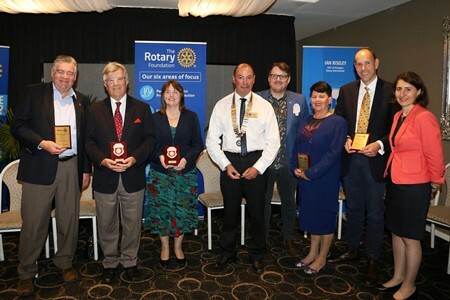 The Rotary Club of Northbridge was founded in 1983 and is part of Rotary International, the world's first service club organization with more than 1.2 million members in 33,000 clubs worldwide. You are welcome to come to one of our meetings, join a lively social group, make 50 new friends, and see how you can make the world a better place ! You bring the family. We’ll bring the fun. Saturday May 11 will celebrate the annual community fireworks event organised by the Rotary Club of Northbridge. Over the past 32 years, community support and attendance at this event has grown to more than 4000 and funds raised will go toward helping local disadvantaged youth and people at risk. 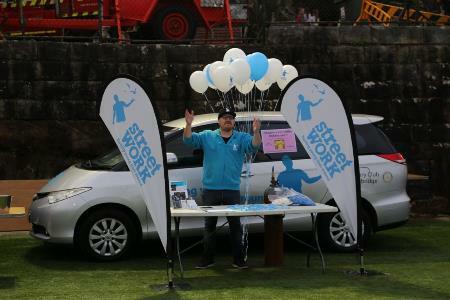 Gates open at the Northbridge Oval, Sailors Bay Road, at 4pm with live music provided by Northbridge and Cammeray Public Schools and Willoughby Girls High School. There will be rides and other entertainment for the children, including face-painting; hot food from the Rotary BBQ, ice creams, fairy floss, cold drinks and coffee will be available. The highlight of the evening will be a spectacular fireworks display at 7 pm. MC for the occasion is voice over artiste Jake Downs whose father John Downs, a previous President of the Rotary Club, was the first MC 32 years ago! We wish to extend an invitation to all families to come along; support a great cause, and enjoy a great night out! Bring a picnic basket and a rug and enjoy the fantastic community atmosphere. Entry: Adults $15, Children (5-15 years) $5, Families (2 adults & 2 children) $35. Credit card facilities will be available at the gate and food area. The Rotary Club of Northbridge is building on their long-standing support of youth with expanding support across 6 different youth specific, leadership and experience focus programs. The outcomes of these programs continue to motivate the club to build on these programs with increased support. Among these programs are high school leadership, science, engineering and experience programs. One of these programs is RYPEN (Rotary Youth Program of Enrichment) aimed at year 9 & 10 who want to build their confidence and self-esteem. RYPEN provides young people the opportunity to build leadership potential, encourages them to explore their ideas in problem solving, team activities, and experiences that will assist them in forming their own values. RYPEN is about building confidence and developing skills to cope in a range of situations. The Rotary club of Northbridge has doubled it’s support of this amazing program from sponsoring 4 awardees each of the last 2 years to 8 awardees this 18/19 year. 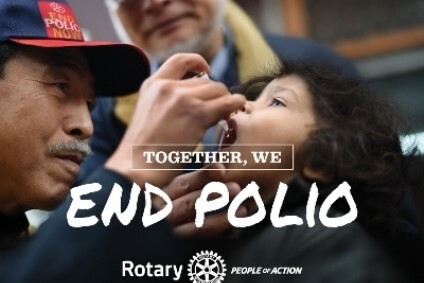 Follow this link https://rotarydistrict9685.org.au/page/rypen for more information about RYPEN. Another program worthy of mention is the Rotary Youth Leadership Awards (RYLA). RYLA is a transformational leadership program designed for young adults aged 18-27. This intensive program over 7 days, enabling leadership to grow and develop to its full potential. RYLA combines amazing Australian speakers with activities and challenges in a supportive environment. Unlike other programs, RYLA has a focus on practical hands-on opportunities testing leadership in a controlled environment. The RYLA program is unique in linking outcomes to self-improvement with considered reflection; building a better leader with the necessary skills for improving their leadership as they move forward in life. RYLA is run annually, with close to 90 candidates in Elanora Heights, on Sydney's Northern beaches; the Rotary Club of Northbridge has sponsored 9 RYLA awardees over the last 3 years. Follow this link http://d9685ryla.org.au/ for more information about RYPEN. The Rotary Club of Northbridge is also supporting the initiation of the North Sydney Rotaract Club; a new Rotaract Club which is a driven community of young professionals aged 20-30 who are committed to creating social change in their community whilst developing as leaders. The inaugural meeting is scheduled for February 20th and the following links are available for further information. The life changing effects of these sponsored Youth programs continues to motivate our club and members support; the Rotary Club of Northbridge will continue a focus on our local Youth and our leaders of tomorrow as one of the most rewarding areas where we support our community. Funds raised by Northbridge Rotary via a bucket appeal at Northbridge Plaza have been put to good use as reported below. During Tropical Cyclone Debbie in 2017, the Sarina Range in Queensland experienced a massive landslide that effectively cut off 16 families (30 students) from the school campus. Education Queensland quickly established accommodation for the isolated students. 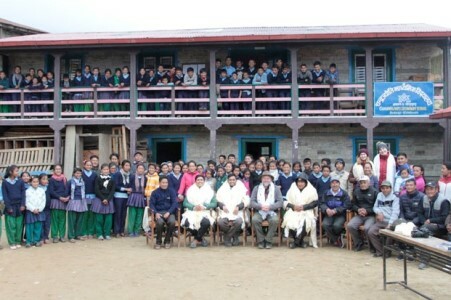 However, suddenly and rather traumatically, the 30 students and their families had to adjust to changed life circumstances, grief and loss, separation from their previous school community and increased cost of living to travel extended distances to access shops, doctors, workplaces and other social supports such as scouts, sporting activities and dance. This project, funded by the Northbridge Rotary Club totalling $3255, provided support for children’s skill development (swimming classes) and social interaction with peers at Inter school athletic activities. These monies paid for bus services to transport children between schools, then on to the swim classes and their athletics carnival. Without this grant the school, P&C and students would have been financially disadvantaged and unable to provide the access and learning opportunities that were offered to the students at the temporary accommodation. Outcome measure evaluation: The project success was measured through the implementation of the project plan within the time frame below. May 2018: 24 children and 8 parents affected attended that inter-school athletics event at Sarina State School. The children participated in all events and several children were successful in securing places in the district events. December 2018: 30 students from the Range campus attended all school swim classes held at the Sarina Swimming Pool over a seven- week period. These children were transported by bus and participated in classes with other students as well as attending their swim classes through the day. All students passed the required water safety standard requirement for their age. Full acquittal of funds occurred in January 2019 for the bus services that took students between their accommodation, school and swimming. The Rotary Club of Sarina and the Swayneville State School students, parents, teachers and community are thankful to the Northbridge Rotary Club and Townsville District 9550 Disaster Management grants that facilitated the social, and emotional well-being of these school children, alleviated a potentially onerous financial burden on the P&C and parents who were already financially disadvantaged. Your financial and club support has provided joy, growth, opportunities, personal development, pride, skill and water safety in all the children of the Swayneville State School Campus. Thank you from the bottom of our hearts. Three years ago, on my first morning in Dili, I looked through my hotel window. A constant stream of women and children walked past carrying water containers. They were getting the day’s water from the local pump where, even in Dili, few dwellings have piped water. In villages away from Dili, few buildings have piped water. The women and children walk – often some distance – to a local spring for water. This unsatisfactory situation is tolerable in the wet. However, in the dry season, this walk can take even longer – too long for some girls to get to school therefore impacting on their education. But even this is not the most urgent issue. The schools, medical clinics and market places often lack running water. A reliable water supply at these communal facilities would vastly improve community sanitation and hence public health. A 5 kw pump to lift water 190 metres from a spring to header tanks. These tanks supply, by gravity, additional tanks at three schools, a medical clinic and the market place. The Global Grant Scheme of Rotary International provided the required funding - US$36,000. Help our Farmers - Come ‘on, buy a Bale! Northbridge Rotary wish to thank the local community for their tremendous support during our recent ‘Drought Appeal’ fund raising efforts. In total, Northbridge Rotary has raised $20,000 from our various BBQ’s, book stalls and bucket collections. $10,000 of this has been directed via retail shopping vouchers to farmers in the North and West Regions of NSW. Working with the team from the Rural Financial Counselling Service in the Central Region, we have aimed to directly aid farmers most in need. The vouchers enable farmers to purchase groceries at their local supermarket and this helps to stimulate local retail trade and keep people employed in rural towns. A further $9,000 has been distributed via our Rotary colleagues in Longreach, who are working closely with the Western District Drought Committee in Queensland. Again, 100% of all donated funds are directly redistributed via retail vouchers to drought impacted households. Also, with the assistance of our local cafés in Northbridge, Cammeray, Neutral Bay and Willoughby, Northbridge Rotary have collected a further $1,000 for the Rural Aid ‘Buy-a-Bale’ appeal. We thank all those local participating businesses for their support and encourage everyone to patronise these cafes and donate loose change into the little green barrels on the counters. Every dollar donated helps. Aside from our local commitment; our National campaign has also made a massive difference. Working in with the Channel 9 “Today Show”, Westpac and the National Farmers Federation, the Rotary Australia World Community Services team have raised more than $10 million in support of drought-stricken farmers since the Appeal launched in August. Please visit our web site https://www.northbridgerotary.org/ for a regular update on how funds are being allocated. For many in our rural community, the recent rains have barely made an impact. With the seasonal change, and all things working in their favour, many of our broad acre farms are unlikely to see a crop until mid to late 2019. Psychologically and financially, when you virtually have to start over again each time, that’s tough going! The Drought may be out of the Press, but the challenge continues. Please help our rural communities to get back in production and help keep our food prices down. 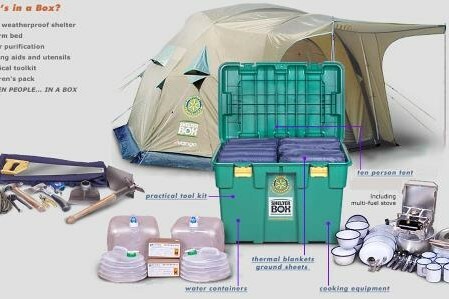 Please visit our ‘Drought Appeal’ post on our website (www.northbridgerotary.org ) and please donate. 100% of funds donated to this Rotary appeal are allocated to helping our drought affected community.